After many years in workplace rehabilitation, IPAR identified that it is often not the injury or condition that precludes an individual from successfully sustaining or returning to employment, but rather their beliefs and perceptions in relation to their health, ability and work. To address this, IPAR partnered with Monash University (Faculty of Medicine, Nursing and Health Science and Injury Research Institute), to develop the Positivum™ assessment tool and health coaching program. Positivum™ is a validated biopsychosocial assessment completed online. It contains 15 questions focused on beliefs and perceptions in relation to health and work, as well as expectations regarding recovery and return to work. Every year in Australia, 140,000 people are diagnosed with cancer. 40% are of working age. Cancer survivors may be managing symptoms related to treatment while also experiencing challenges such as job retention, the need for modified hours or duties, and potentially a change in employer. Add to that the profound effect of cancer on a person’s outlook, and the result is that cancer patients are at greater risk of unemployment than the general population. In recognition of this complexity, IPAR engaged the input of the Cancer Council NSW, The Behavioural Insights Team and Monash University to adapt the Positivum™ assessment and health coaching program specifically for cancer survivors. 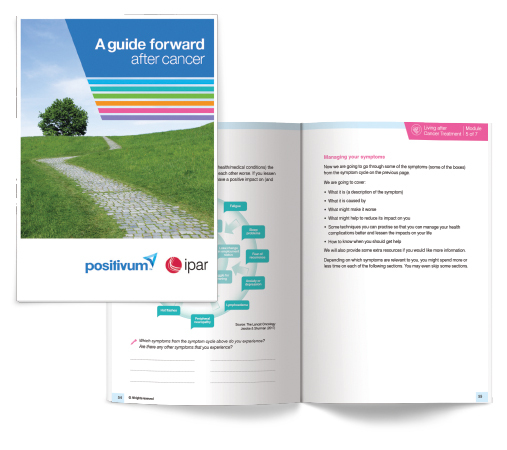 Positivum™ – a guide forward after cancer addresses concerns faced by cancer survivors, particularly those impacting recovery and work. The program includes reflection on values and goals, along with education and activities to empower individuals with a greater understanding of the effects of cancer. It helps them improve their daily functioning and become more resilient when moving forward with life after cancer. Across their lifetime, approximately 60% of Australians will be exposed to a potentially traumatic event, and of this group, around 20% will develop Post Traumatic Stress Disorder (PTSD). Post-trauma symptoms may include disturbing thoughts, mental or physical distress in response to triggers, alterations in how a person thinks and feels, and an increase in the fight-or-flight response. People who have been exposed to trauma can find remaining at or returning to work difficult. To assist, IPAR engaged the input of Phoenix Australia – Centre for Posttraumatic Mental Health, Dr Peter Cotton, The Behavioural Insights Team and Monash University to adapt Positivum™ to support people exposed to trauma. 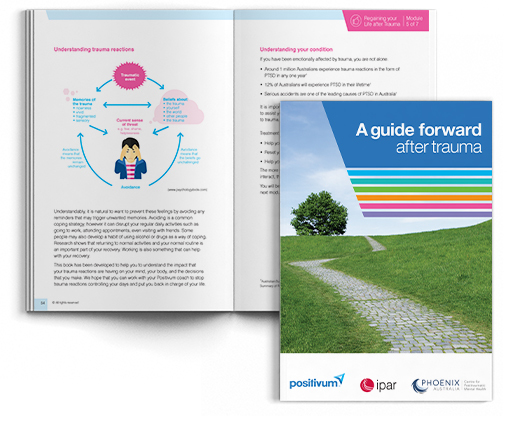 Positivum™ – a guide forward after trauma aims to educate and improve an individual’s understanding of trauma and post-trauma reactions. Through positive coping strategies and grounding techniques, it empowers and motivates the individual to improve their function and ability to remain in, or return to, productive work.